The first part of this feature looked at the fortunes of Gilberto Silva and Jô. 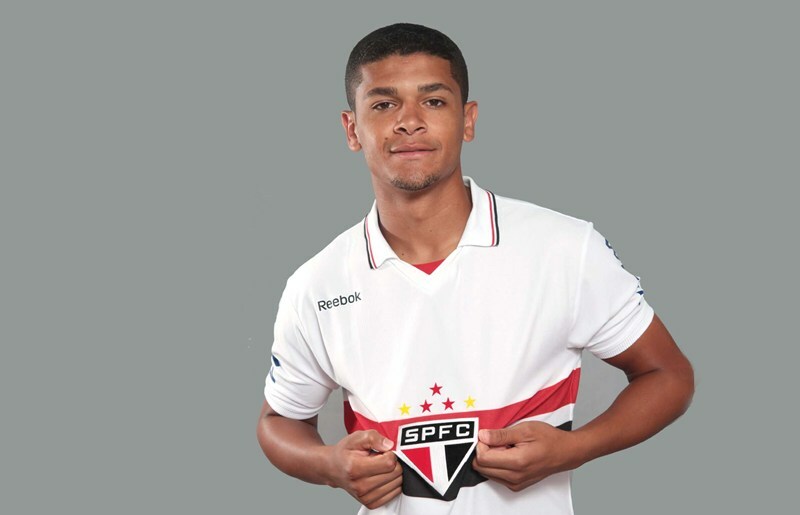 Of a similar age to Jô is Denilson Perreira de Neves, now 25. Denilson signed for Arsenal from his hometown team São Paulo in August 2006. Having captained Brazil’s U-17, U-18 and U-20 side, he had a reputation as an up-and-coming talent. His introduction to Premier League life was gentle for much of his first two seasons, as he quietly impressed in League Cup fixtures. Then, in 2008, with Gilberto Silva, Lassana Diarra and Mathieu Flamini making a bee line out of North London, Denilson got his chance at the base of Arsenal’s midfield. Initially he struck up a promising partnership with Alex Song and in the 2008-09 season he played over 40 games as one of Arsenal’s most consistent performers. However, he picked up a back injury during the 2009-10 season which affected his mobility. This resulted in him famously being overtaken by the referee as he meekly chased Manchester United’s Wayne Rooney en route to another United goal. Denilson was usurped by Song in the Arsenal midfield and failed to recapture his early promise. In the summers of 2011 and 2012 he signed a loan deal with his cradle club São Paulo. At first, Denilson struggled to readapt to life back home. He was sent off twice in the first three games of his return and became embroiled in a twitter row with Tricolor fans. He has since settled again, effectively agreeing a pay-off with Arsenal in the summer of 2013 to make his move back home permanent. The man himself said he had bigger financial offers from other clubs, but wanted to repay São Paulo’s faith in him. Injury and another couple of suspensions have hindered him this season and Tricolor have had their troubles too, having gone 13 games without a win at the start of the season. Like Jô, Denilson may yet chance his arm in Europe again, with plenty of time on his side to do so. Another of Arsenal’s Brazilians also returned to Brasileirão this year. Left back Andre Santos initially took well to life in London with some encouraging performances at full back. However, an ankle ligament tear in December 2011 rather halted his progress and he never really reestablished himself. His maverick attacking style did not suit the tactical rigour of the Premier League. In Brazil, full backs are referred to as ‘laterals.’ Defence isn’t even in their job description. Santos found it difficult to play with a narrow winger like Lukas Podolski and, like Denilson, his Arsenal career will be remembered in infamy. His half time shirt swap with Robin van Persie at Old Trafford last November was treated as an act of heresy. In reality, half time shirt swapping goes on all the time in Brazil. Ganso moved from Santos to hated rivals São Paulo, yet he and Neymar traded shirts without controversy at half time in the São Paulo derby. Santos joined Gremio on loan in February 2013, with this poacher’s goal scored against Fluminense perhaps proving his increasing unsuitability at left back. Flamengo signed him on a permanent deal in July and he has since been reincarnated as a left winger. Santos cancelled his Arsenal contract to return home because, ultimately, he still harbours World Cup ambitions. He was picked for a Brazil squad containing only domestically based players back in April, so he’s not as far away from Seleção as you might think. Another ex-Arsenal left back that returned to Brazil is Pedro Botelho. Botelho never appeared in Arsenal’s first team after joining from Figueirense in 2007. He spent a significant amount of time out on loan in pursuit of a work permit. He suffered some personal issues in Spain with several clubs, most notably when he was arrested for drink driving whilst on loan at Rayo Vallecano. He joined Atletico Paranaense along with Fran Merida in December 2012. The Serie B side have been a surprise package in Serie A. Botelho is playing well as a regular left back as Paranaense are in contention for a Libertadores slot. It appears Pedro finally feels at home again. There are other Premier League waifs and strays in Brasileirão. Wellington Paulista failed to make an impression on loan at West Ham United last year, but has settled into life at Criciuma quite nicely. Ex-Manchester City midfielder Elano returned to Brazil via Istanbul in 2012, first with a spell at Santos and now Porte Allegre side Gremio. Now aged 32, Elano still leaves you with the impression that he’s capable of much more than he actually delivers. Brasileirão, curiously, has become “a country for old men”. Ronaldinho (33) won last season’s Premio Craque do Brasileirão (fans’ player of the year) award, with 37-year-old Clarence Seedorf (Botafogo), 38-year-old Juninho Pernambucano (Vasco da Gama) and 36-year-old Alex (Coritiba) all in contention for this year’s award. Elano’s 39-year-old teammate Ze Roberto is one of Gremio’s most pivotal players too. Brasileirão will always be something of a crib for Europe’s elite, and players such as Jô, Denilson and Pedro Botelho will continue to come home chastened, but a little older and a little wiser for their experience. For those returning in their early 30s, such as Elano and Julio Baptista (Cruzeiro), Brasileirão’s league of reinvigorated old timers show that you’re never too old to go home. This entry was posted in The Samba Series and tagged andre santos, arsenal, brasileirao, brazil, denilson, elano, ganso, gremio, neymar, pedro botelho, ronaldinho, samba series, sao paulo, tim stillman by The Samba Series. Bookmark the permalink.